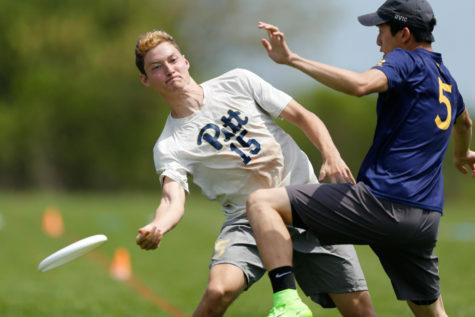 Team Captain and Senior Forward Dave Zimmerman has helped lead Pitt rugby to its undefeated record. Courtesy Pitt Rugby. Looking at Pitt’s ranked rugby team, beards are cropping up everywhere — and it’s not just from No-Shave November. “I feel like I can’t shave it until we lose,” Pitt junior and forward Matt Dunleavy said. 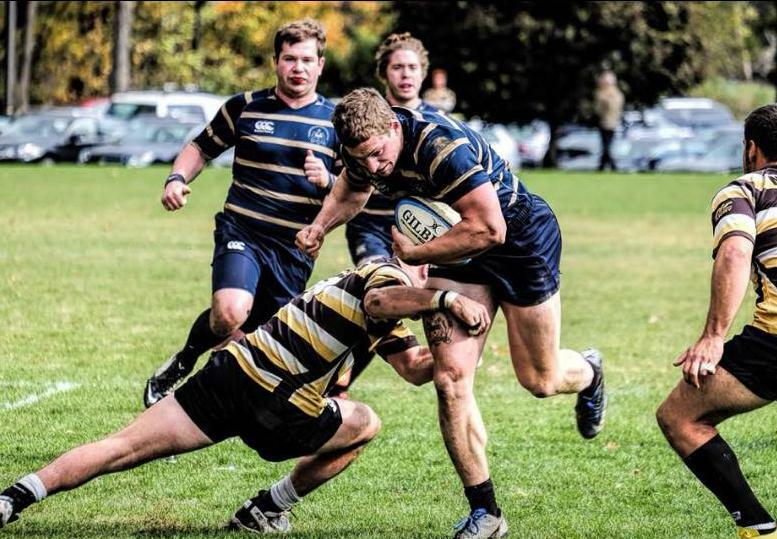 Pitt’s club rugby team is currently undefeated in Keystone Conference play with its quarterfinal match coming up this Saturday at 3 p.m. at Founders Field against Villanova. A win would mean advancing to the semifinals against the winner of Temple vs. Millersville. After that, it’s the finals and a shot at the Keystone Conference Championship. The team is currently ranked No. 9 in the country among Division I-AA teams — the highest a non-varsity program can be — and No. 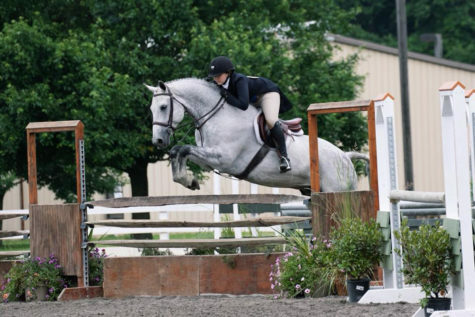 44 in the entire country. Three wins with margins of victory better than 20 points will do that for a program, including a 65-0 blowout win against Lock Haven (0-4) on Oct. 3 and a 43-9 win in the conference opener against Millersville (2-2) on Sept. 19. “Our league is a bit uneven,” Dunleavy said. 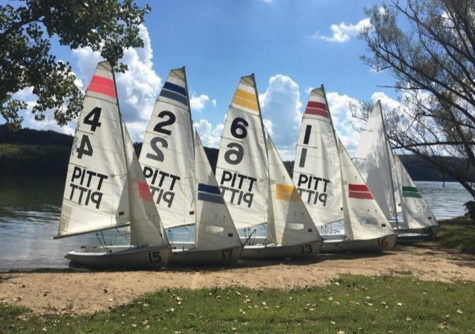 Founded in 1981, the Pitt Rugby Football Club entered the Keystone Conference in 2012 and won the conference’s inaugural championship after dominating the Allegheny Rugby Union’s collegiate level, winning seven championships in their last 11 years in the ARU. Since 2012, the team has made the playoffs but petered out down the stretch, including a loss to St. Joseph’s in the semifinals last year. 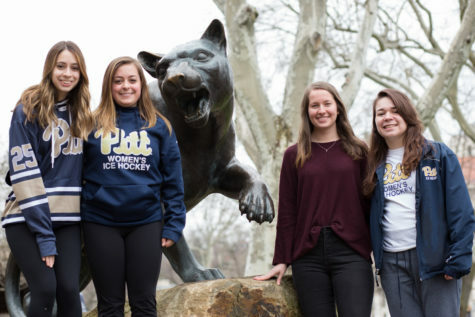 According to team president and senior forward Aidan Nuttall, Pitt’s current success stems from the team’s experienced core, who have played together through the past two seasons. 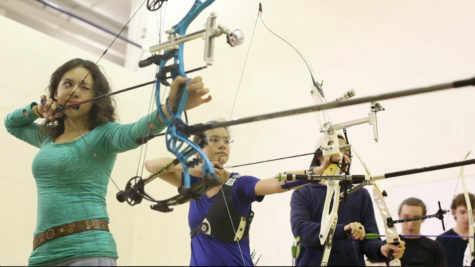 “We’ve all learned everything together and gone through the different levels of understanding at the same pace,” Nuttall said. Dunleavy has been with the team since spring of his freshman year. In that time, the team has grown close. Pitt coach Allan Murray, in his first year as head coach, has been coaching rugby since 2005 and thinks the team’s seniors have bolstered Pitt’s success. “The guys that have been around for multiple years have really stepped up and been able to take the team in the direction they want to go,” Murray said. This senior leadership starts with the captains, Dave Zimmerman and Connor Janawitz. The praise doesn’t end with those two. As a club sport, making sure everyone is on the same page, as far as training and practice is concerned, is vital. 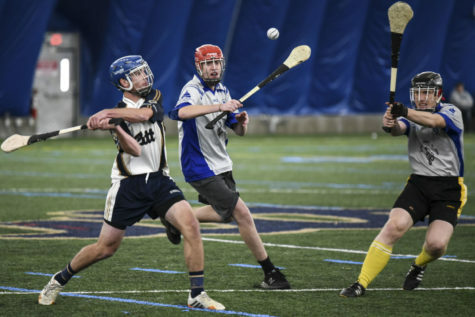 “Everyone else has been doing a phenomenal job, our conditioning is up and everyone has been learning the game as the season progressed,” Nuttall said. Still, Dunleavy deserves praise himself. He leads the team with six tries — a score worth five points — including three against Shippensburg (1-3) in a 40-20 win on Sept 26. Pitt had its undefeated record challenged in its last game, against James Madison University (3-1) on Oct. 17 at home. The score was tied 12-12 at half, and Pitt lost the lead coming out of the gates. But tries by Nuttall and junior forward Noble Smith — Smith’s coming with five minutes left in the game — let Pitt take the lead back and win 31-27. “When we play with that much intensity against a really good team, our defense is what shows, and that’s what wins games that are close,” Dunleavy said. With its perfect record, Pitt claimed the No. 1 seed in the conference tournament and the western division championship. The team takes on a new threat with Villanova (1-3), a member of the eastern division of the Keystone Conference. 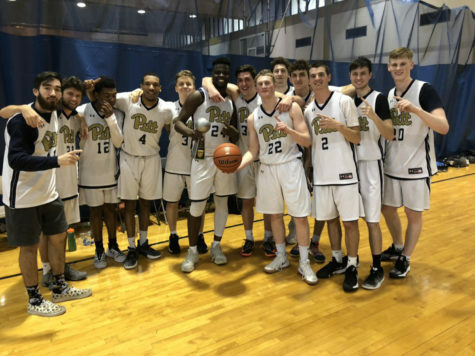 The division title has assured Pitt an invitation to two national tournaments. 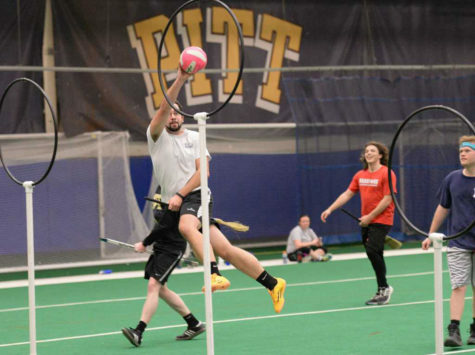 The first of which Pitt plans to play in is the USA Rugby Tournament. That tournament isn’t until spring, and with two bye weeks leading up to Saturday’s game, Dunleavy knows the team needs to stay focused. “The key is keeping the intensity up at practice, going to that game knowing if we lose, we’re done for the year,” Dunleavy said. Murray won’t be satisfied with a quick exit either. But what about the championship? “Winning is always a bonus,” Murray said.